Welcome to Special Kids 4 Special Dads! Do you have a special needs child or know someone who does? Ever struggle with the proverbial “Why me?” question? 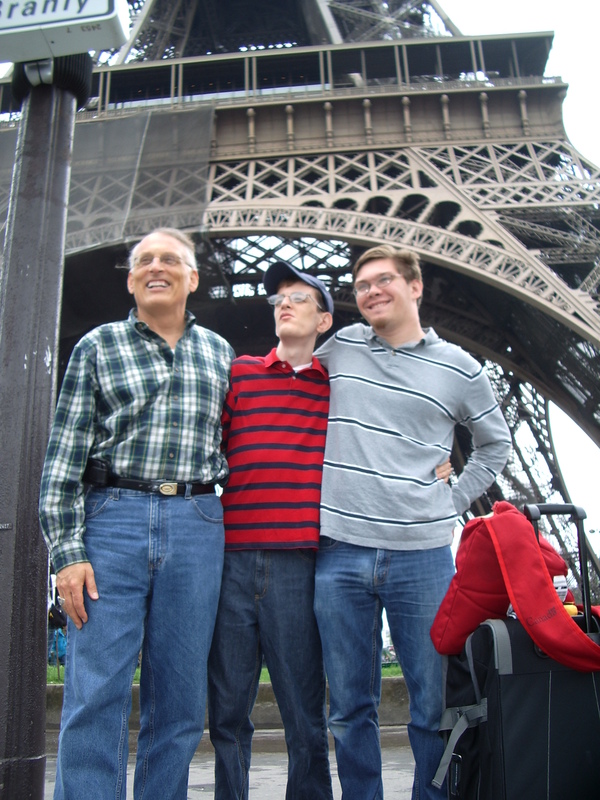 Hi, my name is David Leis, and I am the dad of two special needs sons and one special needs grandson. 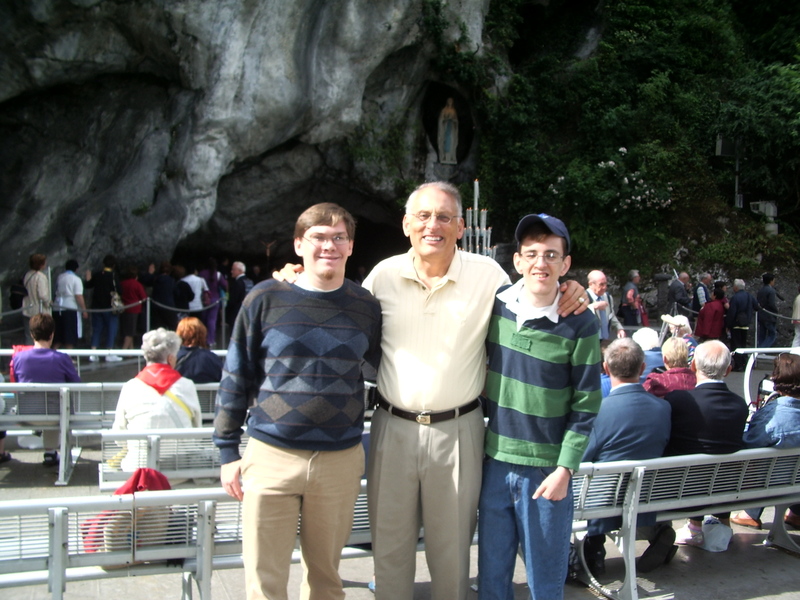 This is me and my two sons…….. If you read my story on the home page , the transformation that began that night at the kitchen table was a moment of Kairos – “the appointed time in the purpose of God.” The ancient Greeks called it ‘the opportune or supreme moment’, that was the starting point for reframing, re-imagining what it meant to be the dad for special needs kids. 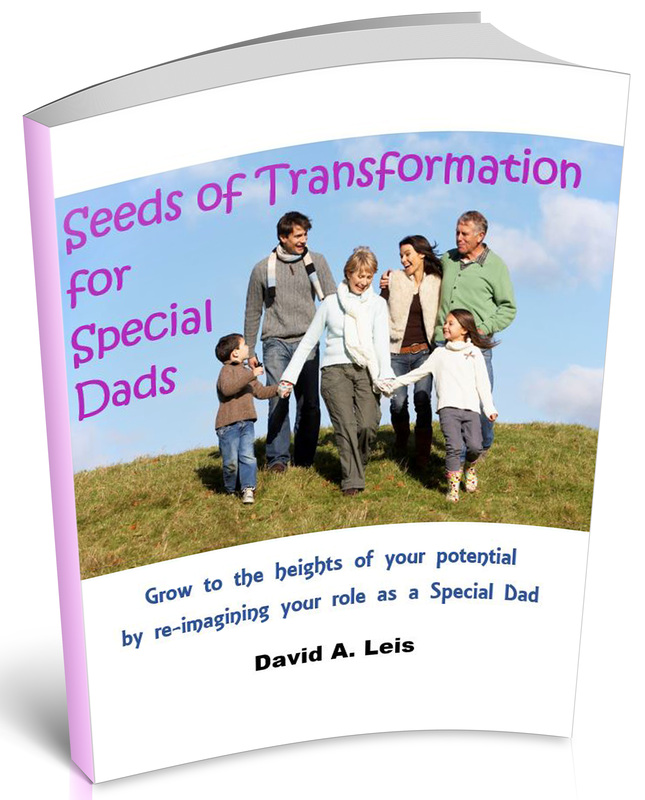 Special Kids 4 Special Dads was founded to help dads of special needs kids learn a whole new paradigm of what a privilege and blessing it is as they grow to new heights of their human potential. It is an opportunity to celebrate a unique personal, emotional, psychological, and spiritual development opportunity beyond anything that could be artificially constructed. Read more here…. They are the best thing (well, along with my daughter, her husband and 3 grandkids) that ever happened to me. Maybe that sounds odd to you, and I know it does to most people in our society.If you or someone you know is really struggling with the situation right now, believe me, I get it, I really do. I just wanted a family with normal, happy and healthy kids. My first son died unexpectedly – with no warning about any problems at 2 weeks of age. His death brought me spiritual life as I searched for meaning and an alternative to the severe depression I felt over the loss. My daughter came next who brought me the joy only a beautiful daughter can bring a dad as she chased butterflies with her pigtailed blonde hair in the yard. And now as a PhD psychologist she brings me a beautiful family with an extraordinary husband and 3 beautiful grandchildren. Then came two special needs sons beginning with an autistic son who brought a perplexing combination of brilliance and beautiful simplicity. Finally my premature multiply handicapped son brought so many terrifying near brushes with death I lost count, but also a gentle, simple, and surprisingly perceptive spirit. Then in 2008 my world come crashing down when my wife of 34 years walked out on me and my two sons without any warning. My sons were both in school and I was commuting 2 hours each way for work every day. The pain, chaos, confusion, stress and pressure we all felt was unbelievable. I was alone with no support network in a new state where we had just moved and my daughter lived in another state. One evening sitting at dinner with my two sons with tears running down my face and they were in shock and disbelief, I decided that they deserved none of this – none of the pain, conflict and confusion. They only deserved a peaceful, joyful, happy home full of love. What was going on inside me and between me and my wife was irrelevant to their need for a happy environment. I was the only one in their lives who could deliver that, and oh yes, and they still needed to love and care for their mother without any negative influence from me. Much easier said than done when you are going through a divorce. I could not burden them with the anxiety and despair I felt while all that was going on. I had to maintain a happy, peaceful, routine home life as best I could and ignore the demands of my humanity screaming for rest and resolution or at least escape. What I discovered beginning that night at the dinner table was away to change. I found the perfect gift that they are from the Creator to help me become all that I was created to be to develop to my own potential as I helped them to achieve that for themselves. I could not be the Type A Driver personality that I was in corporate life with them but learned much more patience, compassion, and acceptance of human imperfection. The greatest teacher of what it took to be a better parent and person was before me at the kitchen table that night at dinner as I cried in pain over destruction that had been wrought on my family. The saying, “When the student is ready, the teacher will appear,” comes to mind. I believe you are here because you are ready to learn a new paradigm for being a father of a special needs child, no matter what their age. Welcome to our community!